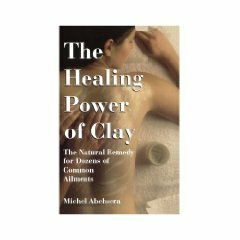 The Healing Power of Clay: The Natural Remedy for Dozens of Common Ailments, a complete guide to clay and how it can improve health and beauty, tells what kind of clay to use, where to get it, and how to use it. Clay is a healer that some use for headaches, allergies, arthritis, cuts, bruises, burns, acne, anemia, as a deep cleansing mask, toothpaste, and as soap. Redmond Clay is the one I recommend. According to the company, Redmond Clay helps eliminate food allergies, food poisoning, mucus colitis, spastic colitis, viral infections, such as stomach flu, and parasites (parasites are unable to reproduce in the presence of clay). It can help with burns, bug bites and detoxification. Redmond Clay is volcanic ash that was deposited in sea water approximately 150 million years ago. This clay is in its natural state with no additives, chemicals or preservatives. Redmond Clay can be taken once or twice daily with or without food, as desired, by mixing 1 - 2 teaspoons in water or juice. There is no laboratory proof that Redmond Clay is effective for any internal disorders, but people have taken the clay on a full stomach for acid indigestion and for heart burn for its cooling effect. Taking the clay on an empty stomach in the evening has been known to bring relief for ulcers. Because the clay draws toxins to itself, it can also used for detoxification of the body. Also remember it is time to do the First Major Fertilization of the Year. Some of the best choices are dry molassess, LadyBug, Maestro Gro, Medina.